Little amphora package of 25 CL.Weight 0,250 Kg.. Precious condiment that enhances the flavor of fennel fresh and invigorating of known digestive virtues. Package bottle of 75 CL.Weight 0,750 Kg. 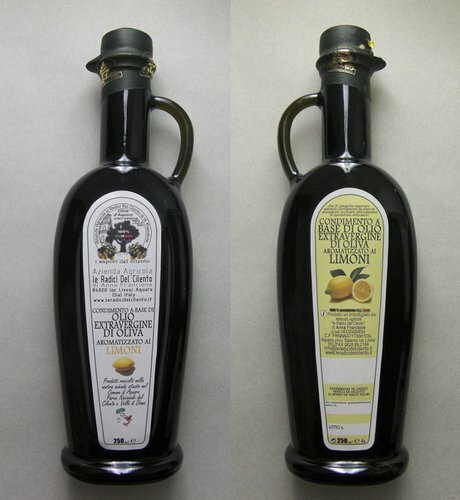 Extra virgin olive oil in the classic package for families who love to gather around the table as a trademark. *Precious condiment that enhances the delicate scent of lemons. Ideal for salads, fish, poultry and grilled red. *Precious condiment that enhances the natural flavor of garlic. Ideal for sauces, bruschetta, gravy and soups.Prezioso condimento che esalta la naturale sapidità dell'aglio.Ideale per sughi, bruschette, fondi di cottura, zuppe. 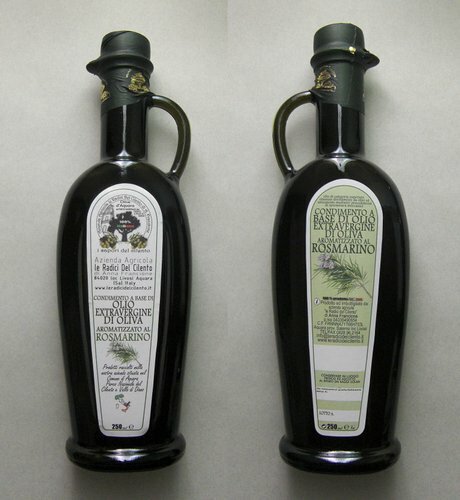 *Precious condiment that enhances the flavor of the Mediterranean rosemary. Ideal for meat. *Precious condiment that enhances all the natural spiciness of chilli. Ideal for sauces and bruschetta. Little amphora package of 25 CL.Weight 0,250 Kg. *Precious condiment that enhances the natural flavor of garlic. Ideal for sauces, bruschetta, gravy and soups. Package bottle of 5 Liter.Weight 5 Kg. All the qualities of our olive oil in a package transportable turf and pantry. 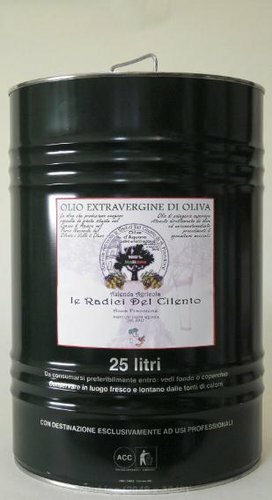 Package tin of 25 liter - only for restaurateurs.Weight 25 Kg. 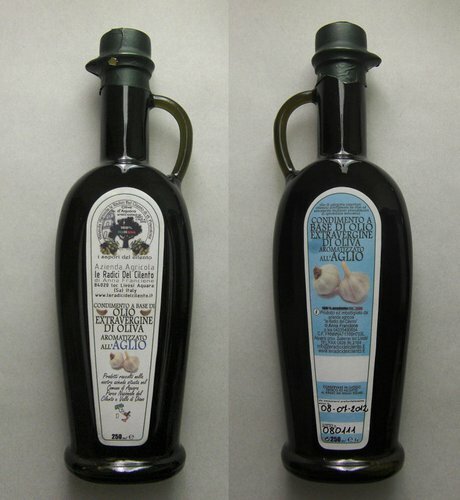 For restaurateurs and their customers know the added value of extra virgin olive oil for each dish. All prices shown are including taxes. 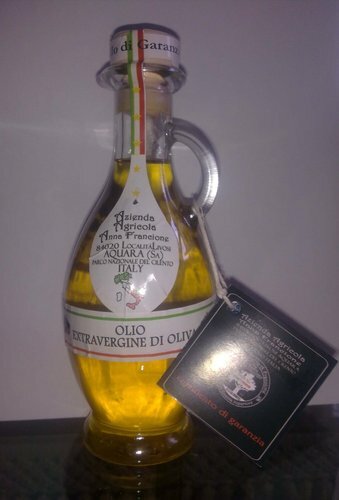 * Product obtained by the infusion but not for the simultaneous pressing of the olives and their product which gives the aroma to retain all the virtues organoleptic and essential oils. The elegant amphora is also an intelligent and lovely gift idea.